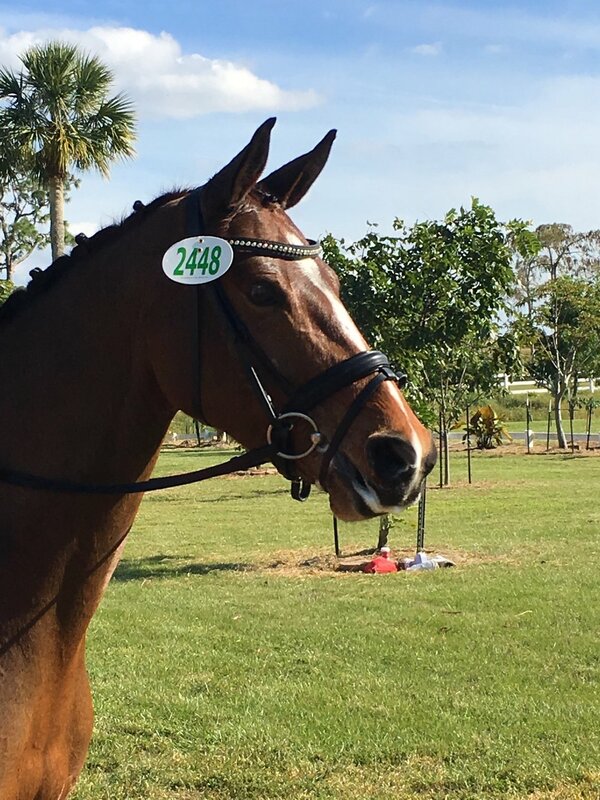 Boletta is a lovely mare, ideal for a professional, accomplished amateur or young rider in a serious program. She is naturally talented and will move up the levels in Dressage quickly. In addition to training level Dressage work she has been free jumped as well and showed natural skill however we have not pursued jumper training. This mare has a tons of scope in her trot and her canter, she has a clean walk both in the collected and the free walk. Boletta was started late at 4 years old and was then imported in the fall of her 4 year old year. She spent the winter at our farm in Virginia growing up and began serious Dressage training in the spring of 2017. She went to Tryon in September to school and was in her first show in Wellington in December. She scored between 71% and 74% in all four of her classes at Training Level, and will be competing again in Wellington in January at First Level. She is progressing rapidly thanks to natural talent and focused training program. Olivia has often said that if this horse were a bit taller she would not be for sale. This is the kind of horse we travel to Europe hoping to find. She is easy to handle on the ground, load in the trailer, and body clip. She is learning to hack out and loves turnout either alone or with other horses.